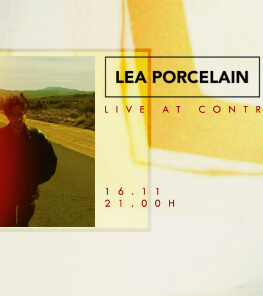 Last year, Lea Porcelain presented their debut album, played sold-out shows all over Germany, as well as London, Paris and Benelux, supported Alt-J on their European tour, played Reading and Leeds festivals' BBC 1 stage and other major festivals in England, Germany and the rest of Europe. Now Lea Porcelain touring their home country for the first time and take their "Hymns of the Night" album to german stages. From the capital - where they played a whole concert series at Funkhaus Berlin last year: their release party, Secret Show and Saal 1 - they will drive through a dozen major German cities to convey to audiences that feeling that makes this band so unique. The power and grandeur of this music, the magic and surrealism of this haunted melancholy, always balances itself between chaos and structure. Germany has been waiting for something as exciting and fresh as Lea Porcelain, and they are currently the hottest music export from Berlin.